See, not everything coming out of Wasilla, Alaska is pure-evil. In fact, unlike the bespectacled rogue she-devil, indie rockers, Portugal. The Man are quite cool; and smart enough to know that they had to get the hell out of Wasilla to stay cool. Here to explain why Portugal. 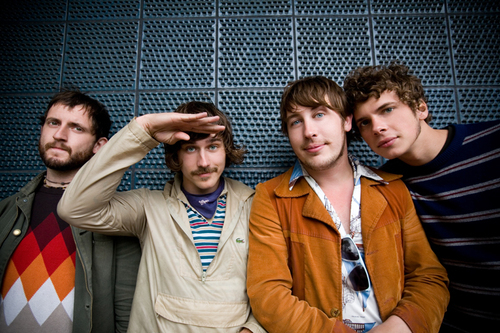 The Man has a period in between their name is vocalist John Gourley, “A country is a group of people. With Portugal, it just ended up being the first country that came to mind. The band’s name is ‘Portugal’. The period is stating that, and ‘The Man’ states that it’s just one person.” Ummm, OK? The bands’ fifth album, American Ghetto, was released last month. Catch Portugal. The Man perform at Fillmore. The Auditorium on 6/18/2010.